For the general public, there aren't a lot of advantages to choosing a hydrogen-powered vehicle over an electric car: the refuelling infrastructure isn't that great, and total driving range is not that impressive yet. However, for the U.S. Army, this technology offers some notable advantages, striking a nice balance between the silent-running capabilities and simplicity of a electric vehicle with the shorter maintenance time of a refillable vehicle. 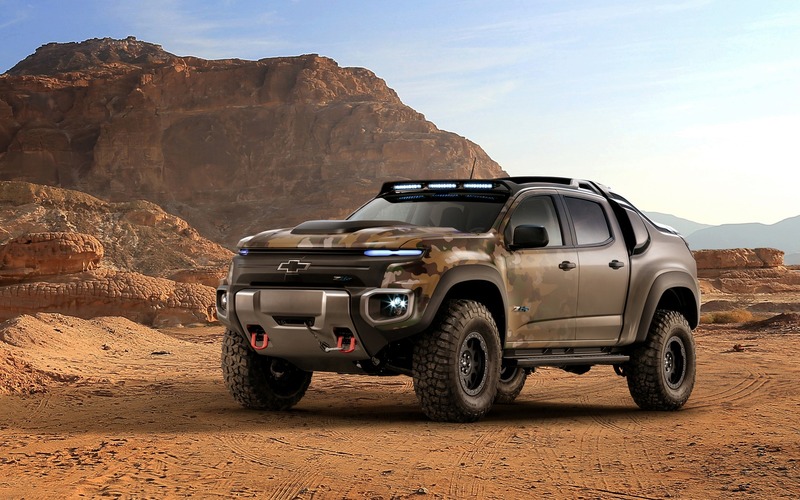 This is why GM is working on the Chevrolet Colorado ZH2, a pickup truck that will be used by the U.S. Army for evaluation purposes. Based on the civilian-spec Colorado, the ZH2 has been extensively modified, as it is longer and significantly stronger than the base vehicle. Its suspension has been strengthened, and the wheels are now wrapped in 37-inch tires. The Colorado ZH2 stands at nearly two metres tall. Details about the powertrain are obviously kept secret. However, we know that the hydrogen powerplant can not only be used to move the truck, but can also be used as a power source. GM is currently putting the finishing touches to the ZH2; after that, it will be sent to the U.S. Army to thoroughly test it and measure just how far it can be pushed. Hydrogen-powered fuel cell Hydrogen Power? Not So Fast!